Take a moment to check the front cover of your telephone book. Does it have one of those square magnets advertising one of your local businesses on it? If so, you've got a great new craft project in your hand! These magnets are perfect for covering in scrapbooking paper scraps- you can use up all those little remnants from other projects. Just cover the front of the magnet with double stick tape and lay a piece of paper over the top. Trim around the edges to clean it up, and then ink them with a coordinating color of stamping ink (as desired, of course). 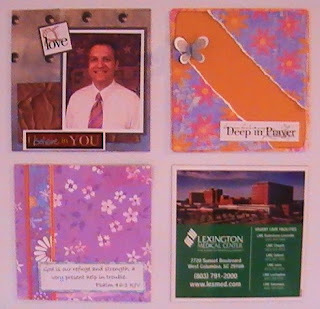 Because they're square, you can use your favorite scrapbook page layouts as the background for your magnets. Make several with matching paper and do a variety of styles of layout. 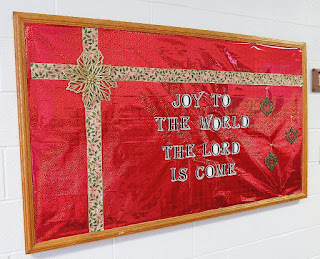 Then add borders, stickers, Scripture, pictures...whatever your heart desires. Using 3D, metal, acrylic and other stand-out embellishments creates a charming, finished look to your magnet. Make a set of unique magnets in Christmas themes to give as gifts in three months (that's right, it's coming quickly!). Make some with pictures on them to use as place cards at your next party and let everyone take them home. Or use them as the invitations themselves - they can be put up on the refrigerator as a reminder of your gathering. Can I Write This Blog Later? Cookie Cups = Chocolate Lover's Delight!